Business of the Year: 10 or more Employees – Canadian Bath Bomb Co.
Dessert Sponsor – Treefrog Inc. 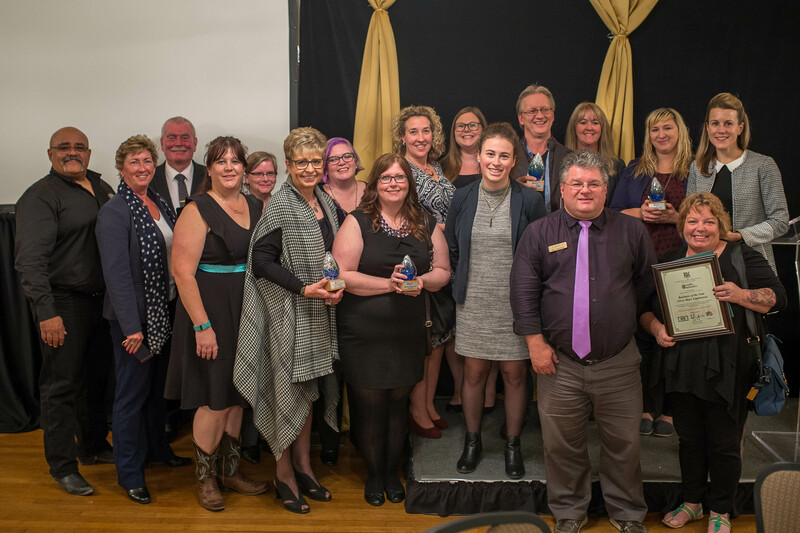 Recognizes a small business for noteworthy accomplishments, long-standing contributions to Dufferin County, and significant community involvement. 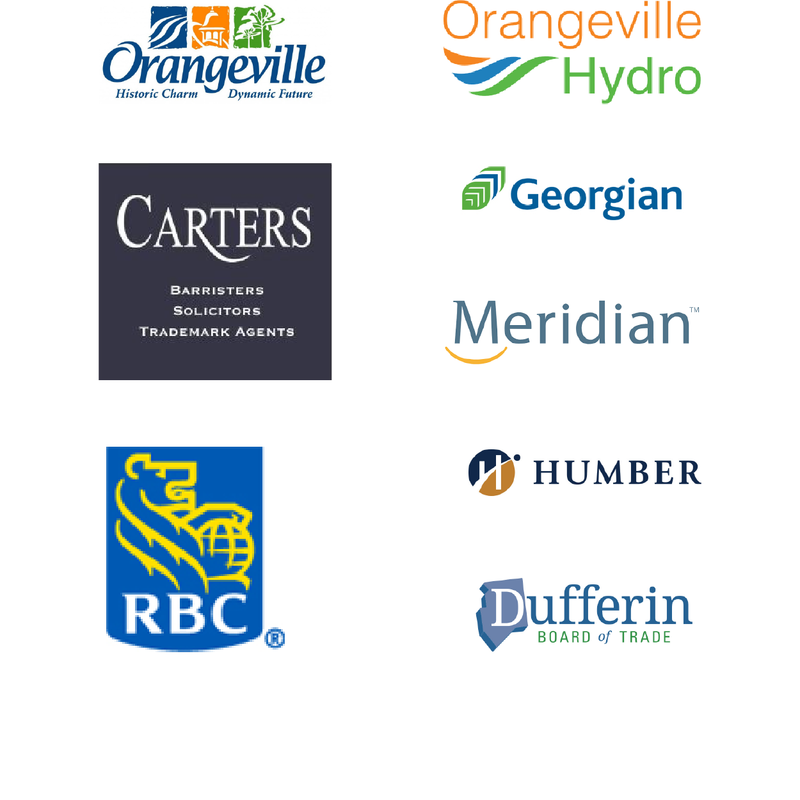 This business demonstrates best business practices, is a leader amongst Dufferin businesses. 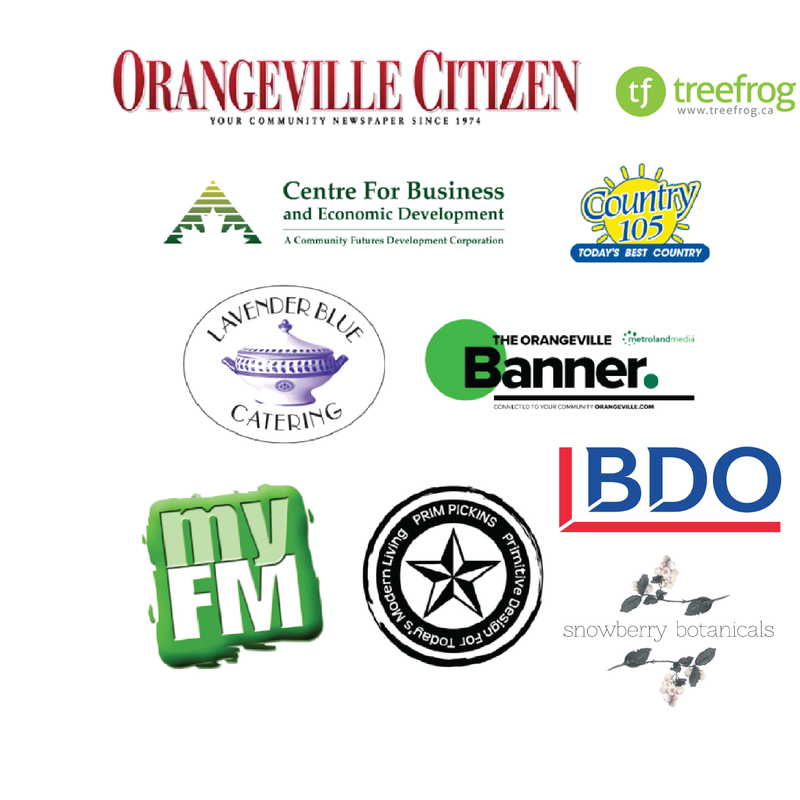 Recognizes a larger business for noteworthy accomplishments, long-standing contributions to Dufferin County, and significant community involvement. This business demonstrates best business practices, is a leader amongst Dufferin businesses. Recognizes a non-profit association, charity, or agency that has made an outstanding contribution to the social, cultural or economic well-being of Dufferin County, is consistently responsive to community needs, delivers outstanding service to its beneficiaries, and communicates a well-articulated vision and mission in support of a strong and viable community. The association will have shown innovation and leadership, and achieved outstanding success in the not-for-profit sector. Honours a new emerging business that is achieving outstanding business performance in a short period of time, demonstrates exceptional promise for continued growth and serves as an inspiration for other new businesses. Awarded to a business or organization that is a trailblazer of the Dufferin business community, striving ahead to achieve remarkable results. Innovators are committed, determined, and skilled game-changers in their industry. Recognizes a successful and dynamic young professional under the age of 40 who represents Dufferin County in a professional manner and conducts business in an ethical fashion. This person should be creative and innovative, and demonstrates strong business acumen and vision. Recognizes a business or community organization which, mindful of the interconnectedness of all aspects of its surrounding community has demonstrated a long-term view to protecting the local environment, providing a diverse, inclusive and balanced workforce and community and is developing and nurturing sustainable growth which is mindful of resource limits, either within its own business/organization or in the broader community. This award is presented to a business person that has shown leadership, community involvement and is a pioneer and mentor in the business community.